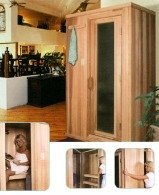 You can purchase a custom model or one of many affordable home sauna kits on the market, and enjoy the luxury and warmth in the privacy of your own home. 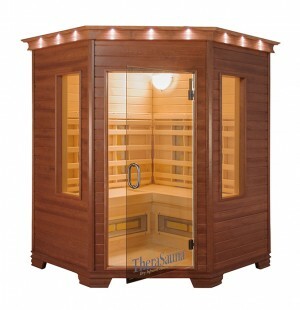 Home saunas have been used for generations by people all over the world to improve cardiovascular and overall health. Other benefits include: increased blood circulation, rejuvenation of the skin, relief from joint pain, stiffness and muscle fatigue, and even arthritis. SEE OUR EXPERT'S TOP PICKS FOR INFRARED SAUNAS FOR 2019! And those are just a handful of the many sauna benefits. Many enthusiasts are of the opinion that if you have an active lifestyle, or even a sedentary one, a 20-minute sauna session in your own home is simply the best way to combat daily stress. Home saunas should be attractive, energy efficient, comfortable and cozy but not cramped. 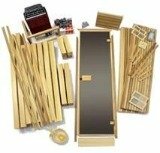 There’s a large selection of home sauna kits and ready to use models available out there, so it’s a good idea to take the time to read about the different styles: steam, Finnish, infrared, as well as beautiful outdoor models such as barrel saunas which you can install right off the patio. We’ll give you some tips about selecting one that’s right for you. 1. 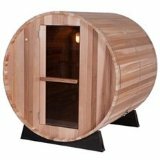 Portable: You should also take a look at affordably-priced portable saunas which can get you started for under $300. 3. High Quality: These are the best saunas available on the market today usually $3000 and up and are built from the best materials. You can do your own sauna installation if you are the weekend carpenter type. If you don’t want to go the pre-fab route using home sauna kits, you can read books on how to build a sauna, draw up your own sauna plans, buy your own building material and an electric heater, and start enjoying the rejuvenating löyly steam in your own custom design. But if you’re not handy with a hammer and saw, do consider purchasing one of those sauna kits. These prefabricated saunas (the panels are pre-cut so there’s NO sawing involved!) 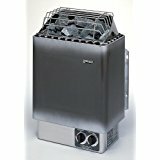 usually run from $1000 one-person units to some pricey 4-person models. You’ll find that these types generally sell for less than $2000. We also take a look at the pros and cons of building your own sauna from scratch vs. do-it-yourself home sauna kits, and see what types of heaters (wood fired, electric and infrared) are available, as well as other parts and accessories that are designed especially for home saunas. Can you lose weight in a sauna?